Federal Election 2019. Make your vote count for life. How do I check my electorate? For the 2019 federal election the electoral boundaries have changed. 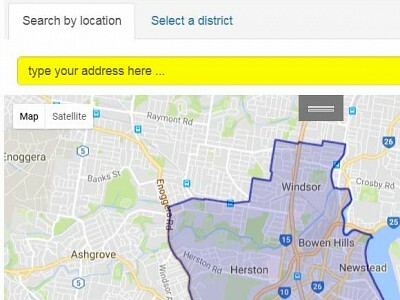 Use this web site to look up your district. Have you ever wondered how we came to be governed by such hardline pro-abortion politicians? Where did these extreme views come from and does the general public really want to have abortion on demand right up to birth? Or could there be other factors at play, like a covert group funnelling big money and politically aligned partisans into politics? One US-based entity known as EMILY’s List is an organisation which has wielded its fair share of influence over politics both overseas and here at home but not many people are aware of its influence. EMILY’s List (which stands for: Early Money Is Like Yeast) first began in the US in 1983 with the sole goal of “electing pro-choice Democratic women to political office”. Its poster child is none other than world-renowned abortion campaigner Hillary Clinton. In the 1990s, it opened a satellite branch in Australia, right about when the extreme abortion agenda began making an appearance on the political scene here. Its head office in the US has a reported revenue of about $45 million a year. Its Australian branch has an income stream of about $350,000 – mostly from political donations. Being a pro-choice female candidate is big business and there seems to be ample amount of funds and resources on hand if you toe the line. It is self-branded as a positive influence for women, pushing equality and health care. But complete access to abortion remains its priority. EMILY’s List convener for Australia Tanya Kovac recently admitted “you have to be a pro-choice woman” to be part of the club. According to its website, it promotes its ideology through traineeships and mentorships, guiding the next generation of pro-abortion candidates to get into politics and wield their influence. The organisation has successfully campaigned for many Labor women. Not surprisingly these well-heeled MPs and Ministers then use their positions of influence to kick considerable goals for the abortion industry. Queensland’s Deputy-Premier Jackie Trad is our state’s best known EMILY’s Lister. Ms Trad was the main aggressor behind the passing of the Termination of Pregnancy Act, stating the decriminalisation of abortion was “personal” for her and the reason she joined the Labor Party more than 20 years ago. The Act was notably brutal, legalising abortion up until birth for any reason, removing all legal protection from unborn human beings. It also contained no safeguards for women considering an abortion like independent counselling, and mandatory checks against all too common abortion coercion. In EMILY’s List, the abortion ideology aims to pull down every restraint. At the federal level, Labor’s Shadow Minister for Health Ms Catherine King — another Australian EMILY’s Lister — is pushing for even more aggressive abortion reforms, encouraging her party to adopt a policy to make it more accessible and 100% free1, in public hospitals. At the most recent Labor National Conference in December 2018, she revealed her extreme position, saying the move “commits us to developing a national sexual and reproductive health strategy for all Australians, including reviewing the availability of sexual and reproductive health services”. Labor also has signalled its intention to allocate more federal funding to abortion and put pressure on the states via COAG to allocate more state and terriority funding to the practice. Ms King has voiced Federal Labor’s intention to pressure the NSW Government to decriminalise abortion and to achieve uniform abortion laws across Australia. Such extreme abortion legislative reforms, with no positive alternatives like adoption or better social support services, would implicitly incentivise abortion over and above other “choices”. That, coupled with highly accessible, free abortions, would open up huge revenue streams for the abortion industry. There are already 70,000 to 80,000 terminations a year in Australian under current abortion legislation. We have one of the highest abortion rates in the developed world with an incidence of 19.1/1,000 women aged between 15 - 44 years old. By comparison the USA is 11/1,000 women aged between 15 - 44 years old and Germany 6/1,000 women aged between 14 - 44 years old. The question must be asked how many abortions are enough for EMILY’s List? EMILY’s List is well represented in every parliament of Australia. They are agitators for permissive abortion policy, and have achieved considerable success. But are voters even aware? In three states (Victoria, Queensland and the ACT) abortion is now legal up until birth for any reason. Abortion is available on request in the NT up to 23 weeks gestation and in WA on request up to 20 weeks gestation, with provision for later terminations. Only in NSW do abortion laws still sit in the Criminal Code. All of these permissive abortions reforms were introduced by Labor majority state and territory governments, with the help of EMILY’s List recruits. It is crucial voters that understand that the Australian Labor Party is becoming infested by women who are committed to legislating for extreme abortion laws — perhaps as a way of paying their dues for political placement. EMILY’s List also has been known to reach out to women on the other side of politics. It is dragging Labor and Australia into a dark place, shamelessly promoting extreme and brutal abortion policy under the guise of female empowerment and equality. Those Labor dissenters who would dare to speak against these perverse philosophies and cruel agendas are quickly quietened, and some ousted. EMILY’s List is a deadly version of the emperor’s new clothes – with many scared to speak out for fear of being labelled judgemental, sexist or a misogynist by aggressive politicians and protectors of abortion. But we must speak out. Its persuasive political push has been years in the making, gathering strength and speed before sweeping into our state and commonwealth parliaments. The innocent victims in all this manipulation and false pretence of feminism are of course the thousands of the unborn Australians who are mercilessly killed each year at the hands of abortionists aided and abetted by pro-abortion MPs. These slain little precious ones and their mothers, who often are forever marred, are the ones we must keep at the forefront of our minds and hearts when we vote at this year’s federal election. What Voters For Life does is easy and it works. In the 2009 state election we dislodged the pro-abortion MP Bonny Barry and it was so incredibly simple to do. Get involved today and be part of a positive change. Authorised by G. Duffy for the Cherish Life Queensland, 2 Benson Street, Toowong, Qld 4066.